French paraglider Tim Alongi, 24, is the new FAI World Air Games Paragliding Aerobatics Champion. Alongi also won the silver medal in the Sychronised Paragliding Aerobatics competition, along with his partner - and solo silver medallist - Eliot Nochez, also from France. 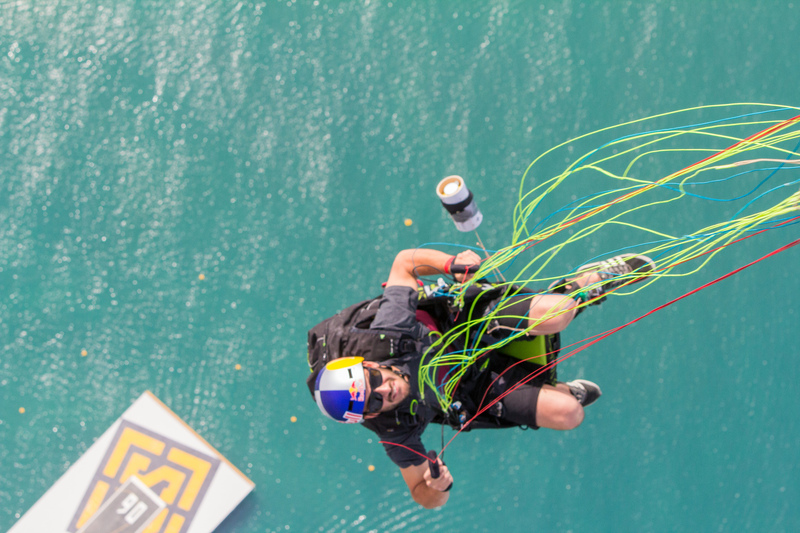 When we caught up with Alongi afterwards at the Palm Dropzone in Dubai, he gave us his seven top tips for acro paragliding success. 1. It's important to fly well on the ground. So learn to play with your glider on the ground first. 2. Don't try to progress too fast. You have to take the time to go through all the steps and get to know your glider really well. 3. Get the right equipment. It's all about being in the right place at the right time, with the best possible equipment. 4. Fly, fly, fly. Get up in the air as much as you can, and keep trying out new manoeuvres all the time. 5. Stay motivated. It's important to keep focused on your training, and to concentrate on your style in the air. 6. Be true to yourself. All pilots are different, so stay an individual and play to your strenghts. 7. The most important thing? Don't take it too seriously, and always have a laugh!